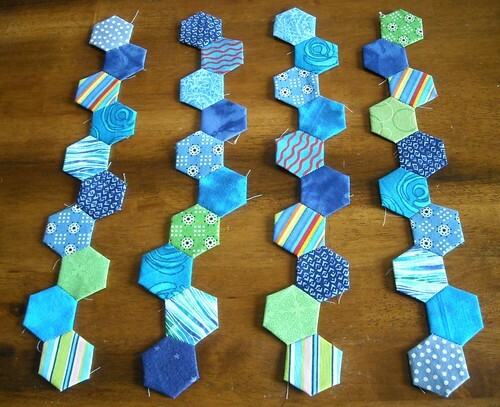 For a while when I was in the middle of making these blocks, I was doing pretty well at using up scraps as I went (see the bottom left corner). 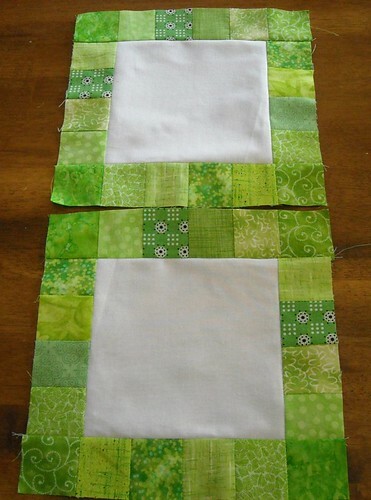 But then I laid them all out and decided I needed the last 3 or so to be more calm blocks. I really like the "word" fabric but it was getting too overwhelming in this project--I finished up with a few more blocks with the linen and white outer squares and I think that was a good move. 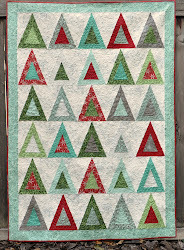 This quilt is for our first KC Modern Quilt Guild charity project and I secretly hope it will be quilted by Angela. I was thinking about that and then I started worrying if the linen would be a pain to quilt and just hoping it would be good enough. Oh well. I think it would look good with the solid brown fabric used as binding, too. 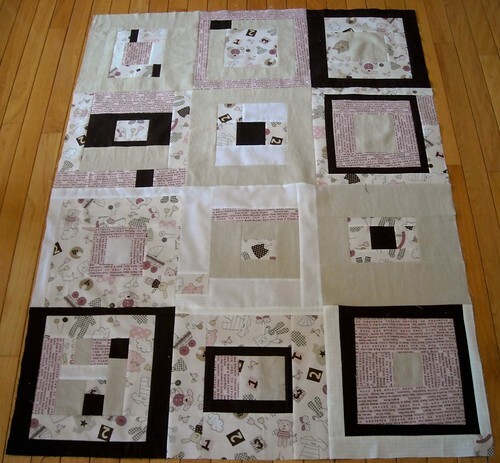 I have made 4 other quilt blocks for this project and need to make 4 more. Next week is our meeting when everyone is supposed to bring their finished blocks--several members went above and beyond the call of duty and have already made entire completed quilts. I can't wait to see everyone's work! A couple of other things--my progress has been so slow on my doll quilt swap quilt but it is happening. These are all ready to be sewn down on white background fabric, two for my partner and two for the twin quilt I'm keeping. I made a mistake in one of these, but I'm keeping it. I think it will add character. There will be turtles appliqued in the middles and multicolored hand quilting, eventually. These were fun and quick. I added a couple of my own greens to personalize the blocks a bit. I have also been cutting many, many 2" squares for my upcoming turn (September) in Bee Beautiful. So far, I have way too many pinks and just enough reds. I will cut another couple of colors out this week and maybe show you a picture of the pretty stacks. It is almost time for another glass of ice water. And I'm going to have to go to the basement for a while. We are under a heat advisory until 8 p.m. tomorrow. Oh yeah, and should I go vote? I am not affiliated with a political party, so I'm only eligible to vote in the county commissioner primary. Maybe we'll go for a hot voting field trip in a bit here. Very pretty quilt design. Also great progress on your hexagon progress. I would love to quilt it. It is just gorgeous! !